for Mr. Toad to photograph. I had originally planned to make Mr. Toad's dress pants and submit those. Well, I have had to just roll with the requests and various demands in my life. This meant no dress pants--for now--and continuing the safari jacket next week. Well, I love my new jeans. I've been wearing them since I finished. I have to admit buying jeans is a nightmare. The Ready To Wear Fast keeps me from being lazy and just replace my sagging jeans that I have been shrinking out of. I love to sew jeans. 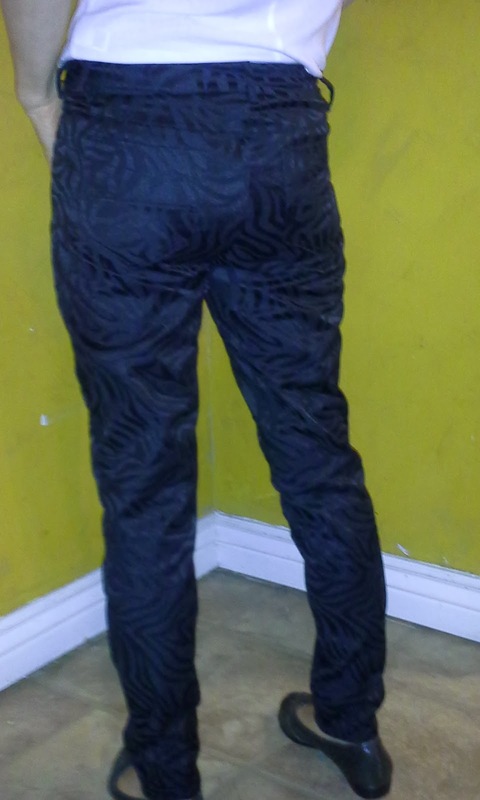 I have made several pairs of the Jalie 2908 stretch denim jean. I've just had to start modifying to make them fit and be more current. I started hearing about this Named Jamie Jean and wanted to try it. 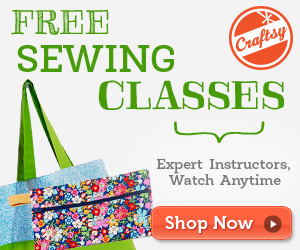 easy to make with their directions and the front seam. The Jamie Jean is a skinny jean. Named Clothing Co. is in Finland. This is a downloadable pattern, but only has 16 pages with 2 sizes per page. When you buy it, you get all six sizes-34-44.The instructions are in a separate file. 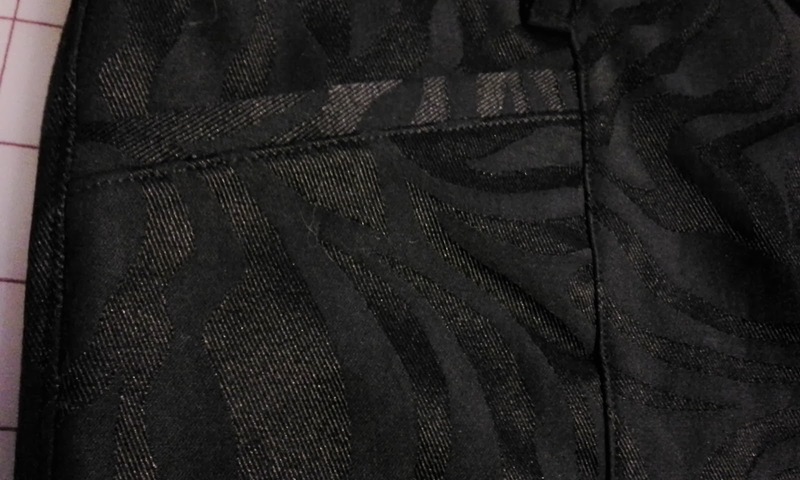 I used a cotton/poly/lycra jacquard with tone on tone black zebra stripes. I bought the fabric while on a very quick trip through my local Joann's. I was there to get thread for another project and told myself that if they had a tone on tone stretch denim that I could get it to make the jeans. Well, they had it and it was on sale! I only spent $15 for the fabric! putting the right/design side toward the body. I really enjoyed sewing this pattern. Once the 16 pages were assembled, it had to be traced because the pieces were overlapped. 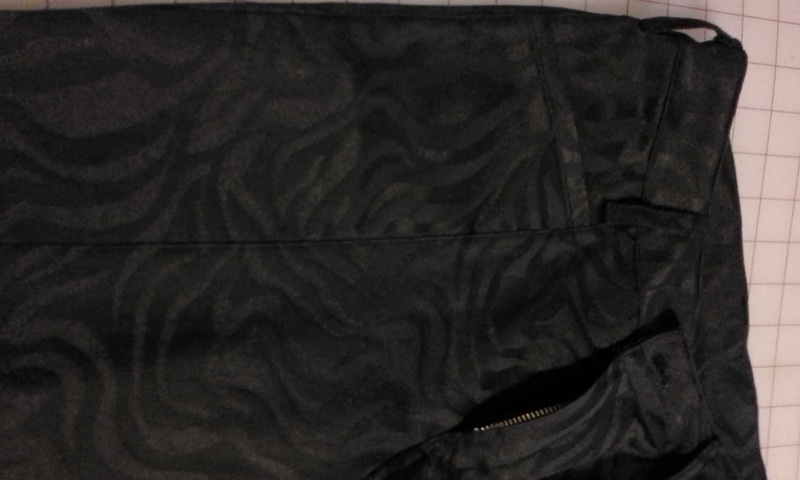 It also had the seam lines printed, along with another size. It was a little disorienting at first, but it was easy to trace because I used tissue paper. I wasn't sure about the pattern. There were a lot of pages in the instructions, but the real instructions only had 9 steps. Some of these were broken down into smaller steps. I did try to follow directions, but I also like to serge multiple pieces at a time. This caused me to jump around a little. 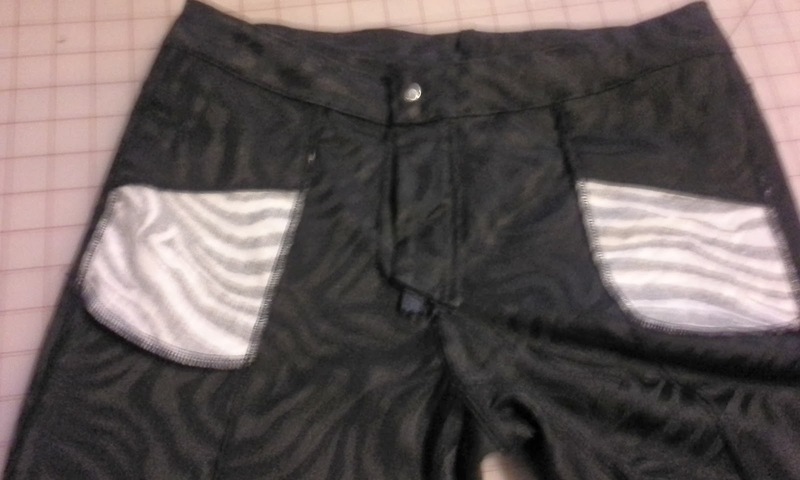 I also ended up sewing the back pocket a little different than they did, but it is on and I'm not taking it off. I am still losing weight. The majority of the instructions were great. The order of the steps were logical and explained well. Unfortunately, the instructions for the zipper left me--with a lot of practice putting in zippers--confused. Once I figured it out, the zipper went in well, but it wasn't very straight forward. I really like the top stitching on the front seam and inseam. It really adds a subtle high end detail. The front pocket is also different than the standard western jean pocket, which requires the front seam. I'm not sure if I am a fan of the front seam yet. It feels a little odd, but since I like the jean, I might try harder to get used to it. I made no alterations to the pattern. In fact, I haven't even hemmed them. I usually wait a few washings before making a final hem because of shrinkage. I hate it when I love a jean and it ends up too short because of shrinking. will show more. This is a horrible to photograph fabric. The fabric I used doesn't have much stretch and it really made me nervous as I was getting closer to finishing. It was looking small. I still have this image of me being heavier. When I tried it on before putting the waistband on, I was pretty happy. It looked like it was going to be a perfect fit. Well, after finishing, it turns out, that I may need to try the next size down. I have a little baggy in the back and thigh. But I still like them! Laura, I am now having the problem of not know how big I am and new fitting issues. I am on a diet for a chronic condition and will lose more. 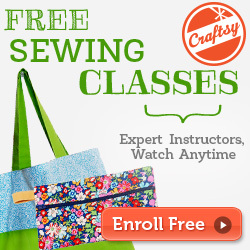 It makes it hard to want to sew for myself. Wow! I'm impressed! I've made my kids jeans, but haven't had the nerve to make them for myself yet :) They look great! I think sewing jeans for myself is very gratifying. So much better than shopping for them. 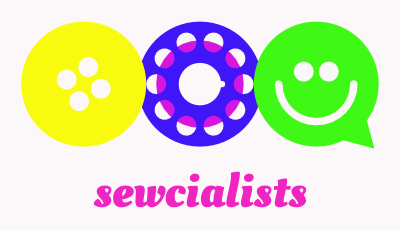 It is also better than sewing them for myself than for my super picky boys or my super skinny adult daughter who won't try them on for a fitting.